The nose is the central feature on the face, therefore is very important aesthetically. Small nasal adjustments and refinements can result in a striking impact on appearance. “Primary rhinoplasty” is a “nose job” performed on someone who has not had previous nose surgery or nose injury. Although its prime objective is to change the appearance of the nose, it may be used to correct minor breathing problems or other internal functional problems. Primary rhinoplasty can be divided into reduction, augmentation and blended rhinoplasty. Bumps on the bridge of the nose are common complaints, as is a bulb-like round tip on the nose. Noses that are too long, too wide or just too big are also among the most common reasons people seek rhinoplasty. Therefore, the most frequently-performed primary rhinoplasty is “reduction rhinoplasty”. In these operations, some cartilage and bone are removed from your nose, hence the word “reduction”. In addition, the nasal bone is filed down and the nose cartilage is reshaped or shifted. As the name suggests, augmentation rhinoplasty requires that tissue be added to your nose. These surgeries are often more complex and require more time than reduction rhinoplasty. Blended rhinoplasty would involve reduction in one area and augmentation in another. 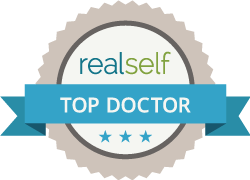 At your initial appointment you will meet with Dr. Smith and your face and nose will be examined. It is important, at this stage, that an accurate and complete analysis of the nose be performed to assess every aesthetic and functional defect. All your questions about rhinoplasty will be answered. The possible aesthetic or cosmetic changes, as well as functional improvements will be discussed. Pictures will be taken and you will be able to preview the possible cosmetic changes, using computer graphics. The next step is for you to be assessed for anaesthesia. Another meeting to answer any last-minute questions will be scheduled shortly before your surgery. The initial appointment is extremely important to help you understand the possibilities and limitations of rhinoplasty. Every nose is different and so are every patient’s expectations. The most common reason that patients are unhappy with their rhinoplasty results is unrealistic expectations. Rhinoplasty surgery takes one to four hours. Regardless of the length of your surgery, you don’t require an overnight stay, unless there are other unrelated medical issues. After surgery, you remain in the recovery room until fully awake. Then you return to the day surgery area for a few hours. There, the nurse monitors your progress. You will be given a prescription for pain medication and a follow-up appointment with Dr. Smith. You must have someone to take you home. Although you will feel wide awake and normal after rhinoplasty surgery, your judgment can still be impaired. People commonly associate nasal casts or nasal packing with recovery after rhinoplasty. Nasal casts are still used, but nasal packing has been almost completely replaced by nasal stents. Following rhinoplasty, your nose is weakened and has reduced intrinsic strength. This fragile state gradually improves over many months after your surgery. The stents support your nose from the inside in the form of thin plastic sheets. They can’t be seen externally. There is seldom pain around the nose following rhinoplasty. Some general discomfort and pressure are more common. Most people require moderate-strength pain medication, such as Tylenol with codeine, for a few days. You should remain at home for a week. You will, likely, feel tired and uncomfortable, but not ill.
A small incision will have been made under your nose. The three visible black stitches in the incision will be removed at your follow-up appointment four days later. Within six months, the incision will be barely visible. One week after surgery, your nasal cast is removed. You may be given nose exercises to perform for two weeks to maintain the shape of your new nasal bridge. The nasal stents remain for one to three weeks. Your breathing won’t return to normal until the stents are removed. After removal, breathing will continue to improve for four months. Most people can return to their usual activities within two weeks after undergoing rhinoplasty. Strenuous physical exercise during which you sweat, or increase your blood pressure or heart rate, is discouraged for six weeks. It can delay, or even reverse, the disappearance of the swelling. If you experience any bruising, it is usually gone in two weeks. Surprisingly, if bruising does occur it is not usually on your nose. It, more commonly, appears under your eyes. Bruising is the result of the nasal bone osteotomies, or fracturing of the nasal bones. It is not the result of surgical manipulation of the nose skin and nasal cartilages. Unfortunately, swelling tends to remain much longer than bruising, lasting up to six months. Swelling can mask the changes to the underlying structure of your nose after rhinoplasty. This is one of the most difficult things for patients following a nose job. Everyone wants immediate results and it’s hard to wait many weeks to see the new nose appear through the swelling. A short series of injections can be used to obtain further small improvements or ‘touch ups’ in many noses. The nose continues to subtlety change as the tissues shift and settle for a full year after rhinoplasty. However these changes are very subtle and few people other than you and Dr. Smith would even notice them. Can You Be Too Young or Too Old? Traditionally, teenagers were thought to be too young to undergo rhinoplasty. However, studies have shown that emotional maturity is more important than chronological age. The ability to manage the post-operative recovery is a result of the patient’s emotional maturity. There is no upper age-limit on at which a patient can undergo rhinoplasty, as long as the patient is healthy. Rhinoplasty has a high success rate. The most important factor that influences success is probably your choice of rhinoplasty surgeon. The slim possibility of making the nose worse can be kept to a minimum by choosing an experienced rhinoplasty surgeon. After-effects can include numbness of the tip of the nose or, less frequently, the front of the teeth. It is rarely permanent. Post-rhinoplasty infection rate is low, occurring in less than 1% of cases. The most common issue following rhinoplasty is an unsatisfactory result. When the main reason for the surgery was functional, not cosmetic, an unsatisfactory result means that breathing remains unimproved or only minimally better. In retrospect, for those patients, the rhinoplasty wasn’t worth the effort or time. When the rhinoplasty for cosmetic enhancement has an unsatisfactory result, there can be several reasons. If you exclude poor surgery or an inexperienced rhinoplasty surgeon, the explanation is usually found in the nasal tissues. Surgeons work with four different materials during rhinoplasty — the overlying skin, internal mucous membranes, bone, and cartilage. All four tissues are altered during rhinoplasty. However they each heal differently, and surgeons must have the skill and experience to understand the differences. This understanding will give them the means of creating a predictable result. The goal is to create harmony and a natural shape. It is as much an art as a science and takes years to master. Nose cartilage has a memory and tends to return to its original shape. This inherent characteristic is the underlying cause of a large number of rhinoplasty failures. The more rhinoplasty techniques a surgeon has mastered and the more noses he has seen and treated, the less likely it is that this feature of cartilage will defeat the desired rhinoplasty outcome. A good surgeon will carefully access patient expectations at the initial meeting before surgery. This is important in avoiding disappointing results. Expectations must be realistic and achievable. The goal is improvement, not perfection. In spite of all the above, rhinoplasty usually is a happy experience with a successful result. Over 7,000 septoplasty and 700 septorhinoplasty occur each year in Ontario. The majority of those patients are satisfied with the result and glad they proceeded. If you would like to learn more about nose surgery, Dr. Smith is happy to meet with you and discuss whether rhinoplasty would be of value in your situation.